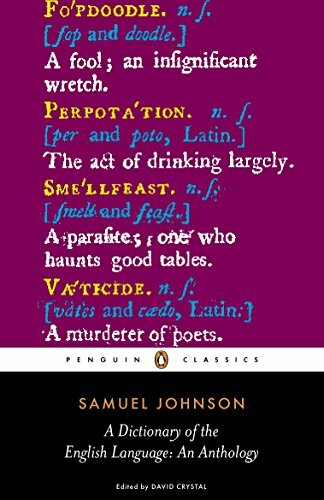 Samuel Johnson (usually known as Dr Johnson) (18 September 1709– 13 December 1784) was an English author, poet, moralist and literary critic. 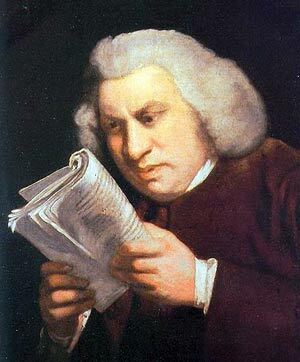 One of Dr Johnson’s greatest contributions was publishing, in 1747, The Dictionary of the English Language. Johnson was born in Lichfield, Staffordshire into a family of booksellers. He was educated at Lichfield Grammar School before going to Pembroke College, Oxford. However, due to a lack of funds, he left after a year – never completing his degree. After Oxford, he worked as a teacher in Market Bosworth and Birmingham. In 1735, he married Elizabeth Porter, a widow 20 years older than him. Together they opened a school at Edial near Lichfield, but it later closed due to a lack of money. The Johnson’s then left for London, where he began spending more time working as a writer. He made a living writing for the Gentleman’s Magazine – a report on Parliament. He also wrote a tragedy, Irene, and some attempts at poetry. Johnson was also employed to catalogue the extensive library of Edward Harley, Earl of Oxford. This gave Johnson the opportunity to indulge his great love of reading and the English language. He was inspired to start working on a comprehensive dictionary of the English language. It would take him eight years, but it was considered to be his finest achievement. Though other dictionaries were in existence, the ‘Johnson Dictionary of the English language’ was a huge step forward in its comprehensiveness and quality. Johnson was a prolific writer. For two years he almost single-handedly wrote a journal – ‘The Rambler’ full of moral essays. In 1752, his wife ‘Tetty’ died, plunging him into depression, which proved difficult for him to escape during the rest of his life. After the publication of his dictionary in 1755, he began to be more appreciated by literary society. He was awarded an honorary degree by Oxford University, and in 1760 was given a pension of £300 a year from George III. This enabled him to engage in more social and cultural activities. He was friends with many of the leading cultural figures of the day, such as Sir Joshua Reynolds a painter, and the writer Oliver Goldsmith. 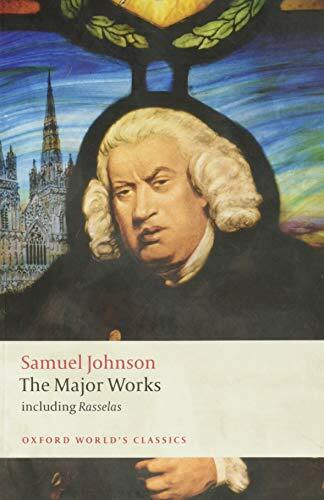 Johnson also embarked on an ambitious project – “Lives of the Most Eminent English Poets” (10 vols) and an influential edition of Shakespeare’s plays. Towards the end of his life, Johnson was resentful after his housemaid, and friend Hester Thrale left him and married an Italian musician. After a series of illnesses, he died in 1784. After his death, his contributions to English literature were increasingly admired. He had left a great body of work and was credited with being England’s finest literary critic of his time.